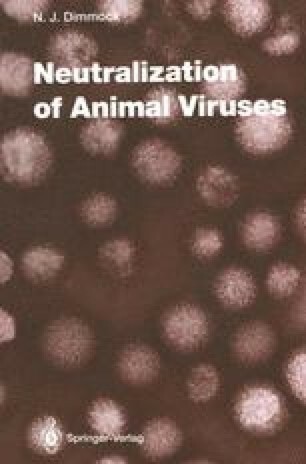 Understanding neutralization is particularly relevant to an appreciation of the interaction between a virus and its antibody-synthesizing host since it is likely that viruses and the antibody system have evolved in response to reciprocally imposed selective pressures. Neutralization of viruses which only infect non-antibody-synthesizing hosts, while of considerable interest from a number of points of view is de facto without any such evolutionary significance. In this second category are viruses of plants, invertebrates, vertebrates below fish in the evolutionary scale which do not synthesize antibody and most bacteria. Viruses of organisms parasitic on or commensal with antibodysynthesizing vertebrates, such as enteric bacteria, protozoa or metazoan parasites, will be in contact with antibody at some stage of their existence, and arthropod-borne viruses which have a higher vertebrate as second host are obviously bona fide members of the first category.